First, I just have to ask. Is it possible to stick to the facts regarding firearm usage, and ownership? Why on earth do people want to listen to politicians who are clearly, either 100% lying through their teeth in their attempts to manipulate those who don’t know any better, or are simply, and truly as ignorant, irresponsible and reckless as they come regarding firearm self-defense, and safe usage? NO, you don’t go out of your front door, and fire two warning shots from your shotgun outside when you have a problem on your property in a wooded area. Why? Breach of safety protocols when using firearm: #4 – Always be sure of your target AND what’s behind it BEFORE firing. A good friend of mine lost a close family member due to someone violating the same rule in a similar way. What kind of reckless baboon would suggest this course of unsafe action? Then there is the total lack of surprise element for what you have in store for the would be attacker. Finally you have clearly given up your position to the would be attacker. Should they have ANY proficiency whatsoever, you just made yourself an EASY target to an armed attacker. This is not only a completely unsafe proposition, it is also extremely tactically unsound. NO, an AR-15 is NOT harder to aim than a Shotgun. It is harder to maintain, but being effective with either a shotgun, or a carbine type rifle in a CQB (Close Quarters Battle) scenario (The scenario you would be in if needing to defend your property) requires just as much training to be safe, and effectively defensive. 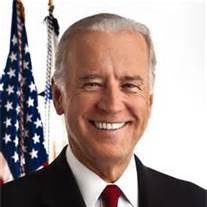 As to the point of not needing 30 rounds to protect yourself, I guess if we all lived in the imaginary world of Joe Biden’s where ALL threats can be nuetralized by simply firing two shots out of a double barrelled shotgun from the balcony of your house, we would not need them. However, in the real world you don’t know what scenario you may come up against, or need to be prepared in a militia for, so the standard capacity 30 round magazine is actually fully sensible. YES, in many defensive scenarios you do not NEED an AR-15, or other carbine rifle. However, there are many scenarios where it is highly advantageous to have one. An AR-15, or other carbine type rifle with the right ammo, is the PERFECT CQB firearm. It happens to be the firearm of choice for most LE & Military personnel in most CQB scenarios. So common is this firearm for those scenarios, it is referred to as the PRIMARY weapon, for which the pistol is a SECONDARY weapon as back-up should the PRIMARY weapon fail, become compromised during a struggle or otherwise become impractical to use for a restrictively tight space. Think that is a bogus claim? Check out the DHS’s (Department of Homeland Security) published video, starting at the appropriate place, showing not just one, but EVERY SINGLE officer entering the building to take on a single active shooter with a carbine rifle (dysphemistically referred to as “assault rifles/weapons”). If, and when the majority of the public stops paying attention to unlearned recommendations from politicians, perhaps we can move to investigating REAL solutions rather than the defensive tool witch hunt distraction that has CONSUMED this country, and it’s opportunistic, parasitic elected officials. I have to agree on all points! Good job John keep up the good work! Thanks Dino, glad you liked it! Thanks Bro! Appreciate the support!